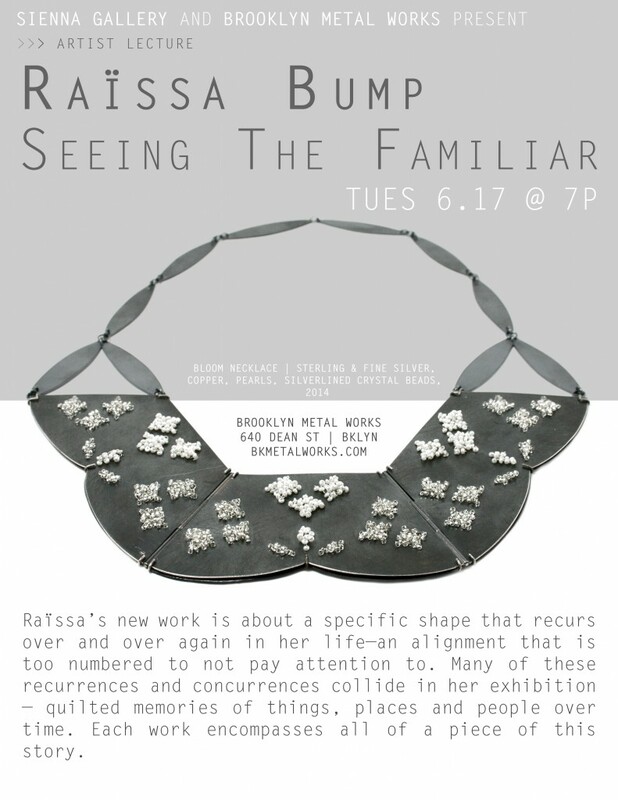 In support of her solo exhibition at Sienna Gallery (May 24th – June 15th) Raïssa Bump will be giving an artist talk on Tuesday evening June 17th at 7pm in the gallery at Brooklyn Metal Works. The lecture’s primary focus will be about her new body of work, Seeing the Familiar. This talk is open to the public and a $10 suggested donation is appreciated. Raïssa will also be offering a two hour workshop on Wednesday June 18th entitled Simple Stretches to Keep You Making. This workshop is designed for all makers, and will teach you stretches that can be easily integrated into your workday.